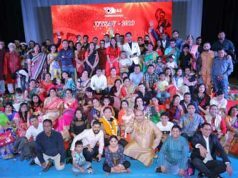 Bhubaneswar: Bahrain Odia Samaj celebrated the Utkal Divas in the Kingdom Of Bahrain with pomp and splendor on 5th April 2019 at the beautifully decorated BKS auditorium. Eminent Odia Industrialist and Founder chairman of ASMACS group Dr Dev Mohanty delivered his speech as Chief Guest and emphasized that pravasi Odias must commit themselves to spread the rich cultural heritage of the state across the world , which is the need of the hour to make people more tolerant in all spears of life . The distinguished guest Ms. Batool Mohammed Dadabhai , Founder chairman of famous Dadabhai Group Of companies in Bahrain , who is very well-known and renowned for the philanthropic activities in the Gulf region , addressed the gathering & congratulated the Odia members for celebrating state foundation day in one of the best possible ways . 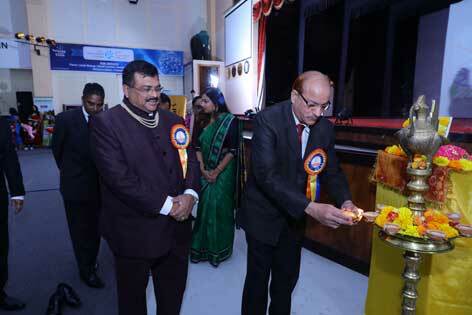 Dr Swarup Ranjan Mishra , a sitting member of Parliament from the Republic Of Kenya and founder chairman of Mediheal group of hospitals , attended the event as the Guest of honour . The audience was spellbound with his great oratory skills and drew inspirations from his own life , who made an humble beginning as a Doctor serving the poor in the African country and slowly building up a health infrastructure through chain of high -end hospitals at different parts of the globe . The representative of Indian Ambassador Mr Om Prakash ,second Secretary Indian Embassy graced the function and through his speech encouraged the members of Odia community in -particular and all other Indian and Bahraini diaspora to intensify efforts for conducting such cultural exchange events . 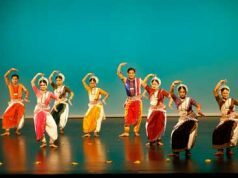 Mrs Geeta Dash , famous veteran Odia singer and Mrs Madhulita Mahapatra , professional Odisee dancer of international repute , gave their performances on the stage . Diginaries list also included His Excellency Dr.Saj A.Mendis (Srilanka Ambassador in Bahrain), His Excellency Padam Sundas (Nepal Ambassador in Bahrain) and other important visitors from Kuwait and Bahrian. 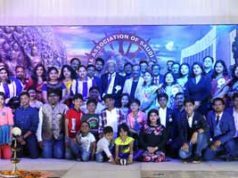 Also event was attended by GCC Association – Kalingan – KSA, various other Indian sister Associations from Bahrain – ILA, TASCA, ICRF,Gujarati Samaj, THC,Karnataka Social Club, Telegu Kala Samithi, Bahrain Keraleeya Samajam,Indian Fine Arts Society and Bongiyo Samaj. The president Of Bahrain Odia Samaj (BOS) Mr Mahesh Prasad Dash , mentioned in the presidential speech about the dedication of Samaj members spearheading the message of goodwill in the true service of humanity through the platform called BOS which will emerge even more stronger after the successful conduction of such mega event . There were cultural programs and folk dance sequences by children and ladies of BOS members. An Odia skit based on the theme of “Joys of Giving “ , titled De Mote De was enacted ; written and directed by Mr Mahesh Dash , President Of BOS . A special souvenir “ Smaranika 2019” was inaugurated during the occasion . The General Secretary Of BOS Mr Bisnu Mohanty offered the vote of thanks .